Time is one of the most expensive and irreplaceable resources that we all possess. On average, we have 66.29 years, which is equivalent to 24212 days, or 34865280 minutes, or 2091916800 seconds. Considering that a person spends a third of his/her time sleeping, there is not so much precious time left to throw around. Time is money, time is life. Modern youth, especially students, live a rich and diverse life, often combining study and work. 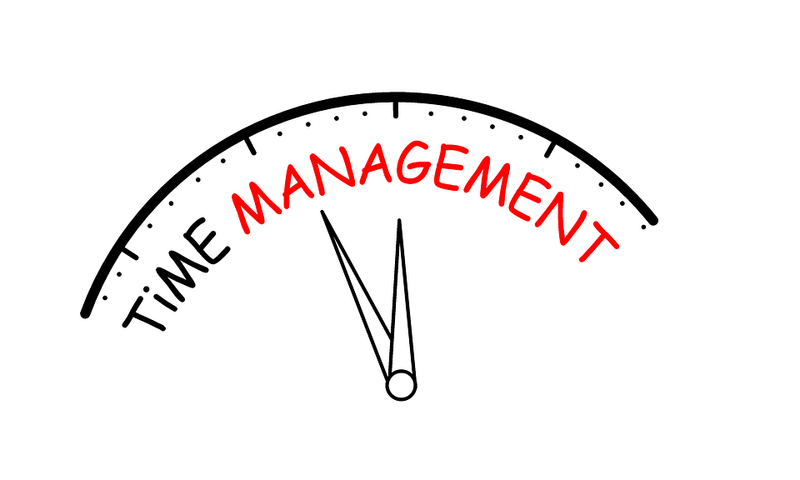 Time management for students is necessary in this cycle of learning affairs, concerning future career and an emerging business, meeting friends and dating with loved ones. Such an advanced technique as time management for students will help to have time to do not only everything that is necessary, but everything that you want. If you want to spend every minute interesting and profitable, then follow the tips on improving time management skills offered by Pro-Papers experts. So let’s go! Teach yourself to make a plan for the next day. Keep a diary and write down everything you need to do tomorrow. Mark the priorities, highlighting the things that need to be done first. Find what you are wasting time on. Count how much time is spent on “hanging up” in social networks, chatting with friends, aimless wallowing on a couch, etc. This calculation motivates to reduce a stupid waste of time. Clearly divide the areas of your life (school and work, friends and personal life, self-care and pleasure) and find time for each of these areas. Using time management for students, do not dwell on the main recommendations, but look for new interesting methods, for example, time management games. When you are already familiar with the concept of time management, follow the basic tips for optimizing your working day, it’s time to improve your skills. In order to develop the ability to effectively manage your time, experts advise using several well-known and fairly popular practices and principles used in the process of optimizing activities. First of all, it is worth noting that the time management methods considered in the article are universal and are used both in working practice and in optimizing non-working activity. Perhaps the most popular planning tool in the world, which is used by everyone, starting with a student and ending with CEOs of large firms. The 34th President of the United States, Dwight David Eisenhower, was the founder of this matrix. His daily schedule was so overloaded that he had to constantly optimize his work schedule. The result of Eisenhower’s research in this direction was the matrix, which allowed distinguishing the most important things from sudden or secondary urgent matters, separating the least important tasks and reducing downtime. The Eisenhower matrix contains four quadrants, which are distributed according to criteria of importance and urgency. The location of the axes is not critical, it is important to remember the key idea of ​​each quadrant, depending on its quality characteristics. Using the matrix will allow you to correctly prioritize tasks and the sequence of their execution. Due to its widespread use on the Internet, this principle is known to most people, but in a somewhat truncated format. What does this principle say in time management? 20% of all actions bring 80% of the result, while 80% of the rest of the activity will lead to the achievement of the remaining 20%. This means that we need to focus our attention precisely on those matters that are more helpful in achieving our goals. When we reduce the time spent on performing ineffective tasks, we are able to increase our efficiency and avoid inefficient use of time. It is possible to determine 20% of actions at least empirically, by carefully analyzing what these or other actions (or inaction) lead to. If you are a visual learner, and it is crucial for your work to meet deadlines, track the status of the task and understand what stage the project is at, then this method is definitely for you. A Gantt chart is considered one of the most visible and convenient methods of monitoring project performance, showing deadlines and the relationship between stages or actions. If you know the average time spent on the task, or want to put the maximum available time for a particular task, then there is nothing better than Gantt. The schedule will show if your plans cannot fit within one day due to an objective reason for the limited hours in the day, or show overlaps in time between different tasks. Today, the Gantt chart is widely used in online programs. Everything is clear and simple, but there are several drawbacks: with a large number of tasks, the schedule becomes somewhat overloaded and it becomes not so convenient to navigate, not all applications and programs have the opportunity to note the importance and perspective of a particular task, that can lead to a shift in focus and delays in achieving goals. Perhaps one of the most useful tools that provides invaluable assistance in the process of optimizing working time, because it allows you to clearly determine how much time and under what conditions is spent on a particular task or action. Motivation and drive for improvement. For any change, you need to invest the desire, understanding and vision of the goal, as well as hard work in this direction. But these investments will be of great benefit in the future.